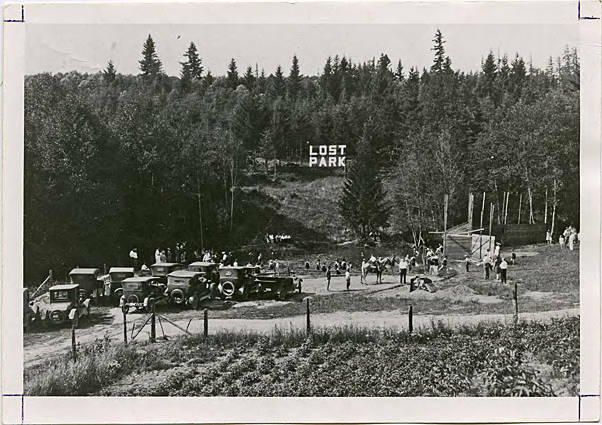 Black and white image of Lost Park, people in the swimming hole, riding ponies and a baseball game being set up. 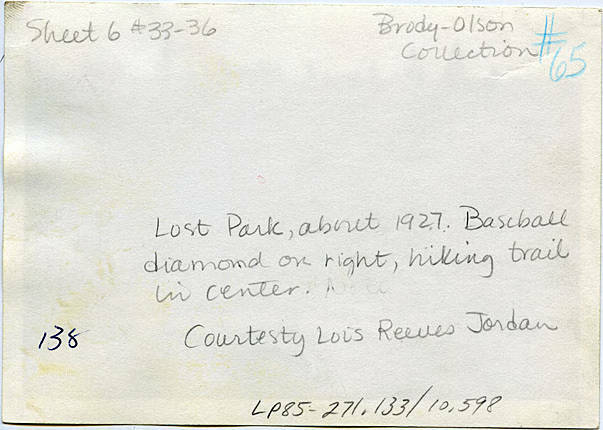 [back] [pen] Lost Park, about 1927. Baseball diamond on right, hiking trail in center. Courtesy Lois Reeves Jordan.